Cervical is a ‘wear and tear’ of the spine and discs in the neck. It is considered as a normal part of ageing and an overstress lifestyle. Treatments include keeping the neck moving, neck exercises, painkillers and cervical support. Patients with chronic and acute neck pain are advised to use cervical support for getting rid of neck pain in their daily course of life. Many doctors of physiotherapists, chiropractic, and even surgeons advocate cervical support pillows. To select the correct pillow, you must consider your body type, your sleeping arrangement, and your mattress. Whether you have a sleeping habit of sleeping at on your back, stomach, side or somewhere in between, the ideal neck pillow or orthopedic pillow should comfortably support your natural spinal curves. 1. Injury:- Cervical can be caused by preceding injury, recurrent fractures or disturbance of the joints of neck which cause abnormal slash of joints, ligaments and the structures nearby the joints. 2. Occupational strain:- The physical injure, intensity of work and length of working hours all comprise the occupational strain. Having a job that needs weighty lifting or a lot of bending and twisting enhances the wear and tear. 3. Bad posture:- Wrong posture tailored by habit or due to poor skeletal set up in the neck predisposes abnormal tear of the neck joints. 4. Body type:- Being overweight and flabby and no exercise and work-out in daily routine increases the chances of cervical. 1. A good posture may help a lot in cervical. Ensure that sitting position at your work or at the computer is not poor which means not with your head flexed frontward with a curved back so always sit upright. Yoga and the Alexander Technique are helpful in improving your neck posture, but their significance in treating neck pain is uncertain. 2. A firm supporting pillow always helps cervical patients when sleeping. It will reduce your pain and make the posture of your Neck better. 3. Exercise your neck and keep yourself active. Aim to keep your neck moving as usually as possible. During erupts the pain may be quite bad, and you may require to relax for a day or so. However, lightly exercise the neck as much as you are able. Gradually try to increase the range of the neck activities. After every few hours tenderly move the neck in all possible direction. Do this many times a day. 4. Treatment – If symptoms do not get better over a week or so, you may then be referred to a physiotherapist to help with pain relief and for suggestion on specific neck exercises. 1. LP Cervical Collar (Hard) 905:- This LP cervical Collar is totally height-adjustable allowing preferred flexion reduce rotation and pain. It is crafted with Vinyl-covered foam padding for patient comfort and easy cleaning. Its ventilation features allow air circulation. 2. Tynor Cervical Collar Soft with Support B 02:- Cervical Collar Soft with support is used for supporting the neck and defensive it against jerks shocks and vibrations. It is highly recommended where a partial or controlled halt of the cervical region is required. 3. Relief Inflatable Neck Support:- Relief Inflatable neck pillow can easily your favorite travel buddy. 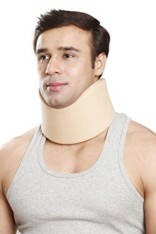 This inflatable neck traction tool extends head and neck support. 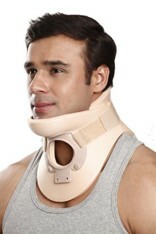 It also facilitates in keeping the neck warm and it also serves as a reminder when to limit head and neck movement. 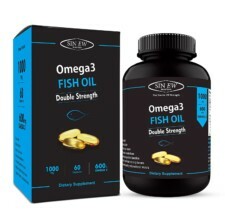 It is appropriate for lessening neck, shoulder and back pain while you in office, study, watch TV or drive. 4. 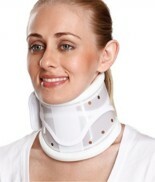 Freedom Cervical Collar Soft:- Freedom Cervical Collar Soft guards your neck against unexpected jerks and sensations. The spongy form covered with a soft fabric allows intense comfort while providing sufficient protection. It is an efficient product for people who require control of the cervical spine. Chronic wear on the cervical spine is the main reason of cervical. 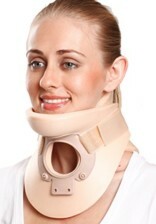 Neck immobilization with soft cervical collar is very effective in treating cervical. 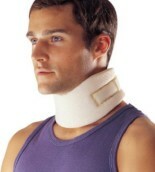 The soft fabric of neck collar allows best possible elasticity and perfect support at the same time. 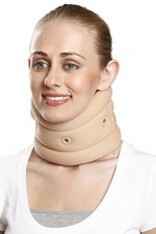 It is extremely comfortable on neck and can be worn for several hours without any annoyance. However, surgery is advised in cases of severe pain and nerve root compression.